A new study published in the journal Heart finds that compared with percutaneous coronary intervention (PCI), coronary artery bypass graft is associated with significantly lower all-cause mortality in patients with acute heart failure (AHF). Myocardial ischemia is a leading cause of acute heart failure (AHF). However, optimal revascularisation strategies in AHF are unclear. Sang Eun Lee and associates conducted a cohort study to compare two revascularization strategies, coronary artery bypass graft (CABG) and percutaneous coronary intervention (PCI), in patients with AHF. The cohort study of Korean population included patients who received CABG or PCI during the index hospitalization for AHF. CABG had a lower risk of all-cause mortality than PCI (83 vs 147 deaths per 1000 patient-years) during the median follow-up of 4 years. There was also a trend towards lower rates of rehospitalization due to cardiovascular events or HF aggravation. The adverse outcomes were significantly lower in the CABG group than in PCI group, especially in patients with old age, three-vessel diseases, significant proximal left anterior descending artery disease and those without left main vessel disease or chronic total occlusion. “In this propensity score-matched comparison between PCI and CABG in patients admitted for AHF, the rate of death from any cause over 4 years was lower by 40% among patients who underwent CABG than among those who received PCI,” write the authors. 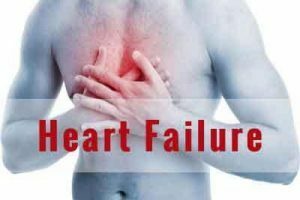 Heart failure (HF) is a global health problem affecting about 26 million people worldwide. Although the etiology of HF is diverse within and among world regions, coronary artery disease (CAD) is consistently the predominant cause of HF, accounting for as much as 50% of HF cases.